BLOX Racing is pleased to offer its updated line of cast, aluminum throttle bodies. 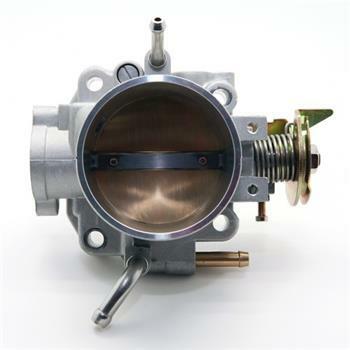 It’s original, and best selling 68mm throttle body has been updated to include idle adjustment. This die-cast unit is joined by 66mm and 70mm larger bore throttle bodies. BLOX Racing Tuner Series throttle bodies are alternatives to its line of billet throttle bodies. These units are cast in aluminum and are direct-fit for the Honda B/D/H and F-series engines. The Tuner Series throttle body looks and feels like an OEM unit but definitely out performs it. The larger bore sizes helps to optimize incoming airflow and increases horsepower and torque. BLOX Racing Tuner Series throttle bodies each include a matching gasket.